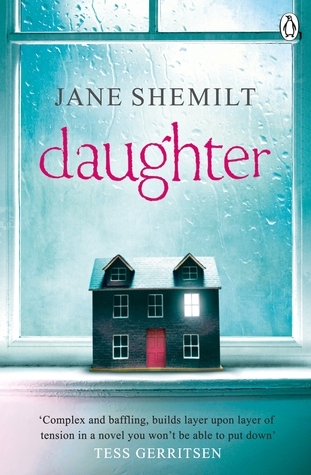 Daughter by Jane Shemilt centres on the disappearance of a 15-year-old girl, Naomi, from the kind of middle-class, well-off family that has a cleaner and a holiday cottage. It's Naomi's mother Jenny who tells the story of the events leading up to Naomi's failure to come home one night after her appearance in a school play, and of the aftermath of her - what? Abduction? Murder? Or has Naomi simply run away? The general message of Daughter is that we don't always know our families - particularly our teenage children - as well as we think we do. Fresh-faced, chatty Naomi, who doesn't like the taste of alcohol, never smokes and rarely wears makeup, is soon revealed by the investigation into her disappearance to have been concealing no end of secrets from her mother, and this seems almost as painful for Jenny as the fact that she has gone missing. Moreover, Naomi's twin older brothers, Ed and Theo, seem to be hiding a few secrets of their own - and what of Ted, her neurosurgeon father? Unfortunately, despite an engaging mystery plot, much of the book simply doesn't ring particularly true. It's not hard to believe that a teenage girl might have a secret boyfriend (or two) but I don't find it remotely plausible that, upon spending a day with such a boyfriend at her family's holiday cottage without her parents' knowledge, she'd be daft enough to leave stained sheets and half-empty wine-glasses behind in the bedroom for them to find. Nor do I think it plausible that a sixth-former would submit a naked photo of his underage sister for his school art project without his sister, teacher or mother having any kind of problem with this. And there are other elements to the story that I found just as irksomely unlikely - the ending, for example, not to mention the last few chapters building up to it. I'm afraid I also felt it hard to care much about naive, mildly snobbish Jenny and her relationship with her characterless husband Ted. Both the couple and their marriage are somewhat dull, and their children are somewhat reminiscent of Julie Myerson's appalling brood in the now defunct Guardian column Living With Teenagers - rude, sullen, spoilt and in need of a sharp clip round the ear. It's also infuriating that it's implied several times - not just by the characters, but by the narrative overall - that Jenny's failure to notice her children's multiple problems is down to her dedication to her career as a busy GP, leaving her with too little time to devote to her offspring. Apparently nobody (except, once or twice, Jenny herself) has an issue with Ted's equally demanding job, needless to say. Overall, while the cleverly structured plot did keep me turning the pages, this wasn't the gripping read I'd hoped it would be, failing on matters of character development and plausibility throughout.